The biggest rollback of bank regulations since the global financial crisis a decade ago was signed into law by President Trump in May, easing mortgage loan data requirements for most banks that could make it easier for some people to get a home loan. Proponents of changes to the Dodd-Frank Act of 2010 say the new rules should help community banks and medium-sized lenders make more mortgage loans. Previously, rules on the Qualified Mortgage rule, or QM loans, made it harder for business owners and freelance workers to provide proof of income when applying for a home loan, and for small lenders to take on the risk of making non-QM loans. If an applicant doesn’t have good enough credit for a QM loan, they now may be able to get a non-QM loan at a higher interest rate. Non-QM loans fall outside the traditional Fannie Mae and Freddie Mac conforming loan guidelines, says Michael Hausam, a real estate agent and mortgage broker at Shore Capital Corp. in Newport Beach, Calif.
“We’re not going back anywhere near the crazy times before the crash,” Hausam says. “But it’s an incremental step to serve people” who may have some credit problems but have the income and meet other requirements to qualify for a home loan. The changes the president signed into law allow community banks and credit unions to offer mortgages outside the QM rule as long as they don’t sell the mortgage and keep it in-house. The change applies to lenders with less than $10 billion in assets. 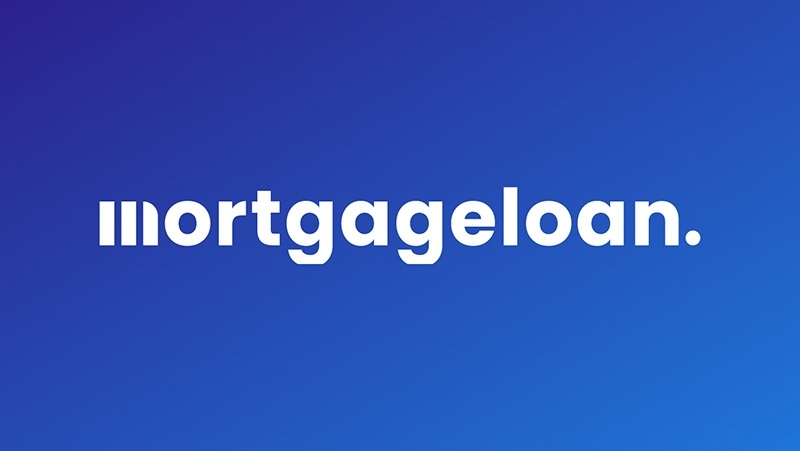 Keeping a mortgage in-house exempts lenders from a QM loan requirement that borrowers meet certain standards to show they can afford their mortgage payments – and leaves the risk on the small bank instead of the larger financial market. “They’re basically being allowed to loan their own money and keep this assets on their balance sheets,” Hausam says. “There’s an implied self interest” in lending money in a home loan that can’t be resold, he says. The global financial crash of 2008 was caused in part by lenders selling home loans to insurance companies and other investors. Many of the loans were defaulted on by homebuyers who were approved for home loans they couldn’t afford. Dodd-Frank set rules to prevent another crisis. QM loans have more stable features that make it more likely to afford a loan, such as good-faith efforts by lenders to determine if borrowers can repay the mortgage. Self-employed entrepreneurs who may not been able to prove a steady income to qualify for a QM loan should have an easier time under the new rules. While someone on a steady salary can easily show their income with tax returns as part of the QM rules, the self-employed or someone who relies on commission and bonuses may have to show two to three years of earning history to qualify for a QM loan, Hausam says. To qualify for a non-QM loan under the new rules, the self-employed can show a shorter income history that’s proven with checking account deposits instead of tax returns, he says. Non-QM loans shouldn’t be confused with subprime loans that sometimes didn’t check income and that led to the housing crash. Non-QM loans still undergo “rigorous underwriting” and focus on showing an applicant’s ability to repay the loan, says Mike Lee, executive vice president of national sales at Planet Home Lending. That includes having assets, job stability and an income that allows the loan to be repaid. “The spirit of the non-QM is to find people with the ability to repay,” Lee says. Having a onetime major life event that can make it hard to get a QM loan, such as bankruptcy or foreclosure, shouldn’t prevent someone from getting a non-QM loan, he says. QM loans allow a debt-to-income ratio of up to 43 percent. Non-QM loans can exceed that, and can have terms longer than 30 years, can originate interest-only loans, create balloon payment loans and have upfront fees that exceed 3 percent, says Hernon Davis, a mortgage loan officer at Mortgage Real Estate Services in Houston. “I anticipate a lot more credit challenged individuals will be able to find mortgages through their local community banks but with much higher interest rates and bigger down payments,” Davis says. The downside to non-QM loans, unfortunately, is that they can cost consumers more money, QM loans can require no money down, for example, while non-QM loans can require a 20 percent down payment. Some non-QM loans drop that to 10 percent down if more “non-QM boxes are checked,” such as having a high credit score or low debt, Hausam says. “A non-qualified mortgage isn’t just a yes or no, it’s a continuum” based on credit score, income and other factors, he says. The biggest cost of a non-QM is the interest rate charged. Many applicants have not-so-great credit scores and don’t qualify for a QM loan, so they’re seen as more of a risk and are charged a higher interest rate on a QM loan. If a QM loan charges about 4.5 percent interest, a non-QM will charge 5 to 6.5 percent, Hausam says. For a $300,000 QM loan at 4.5 percent on a 30-year fixed mortgage, the monthly payment would be $1,520. Move the same loan up to 5 percent for a non-QM loan and the monthly mortgage is $1,610. At 6.5 percent it jumps to $1,896, or $376 more than the QM loan every month.